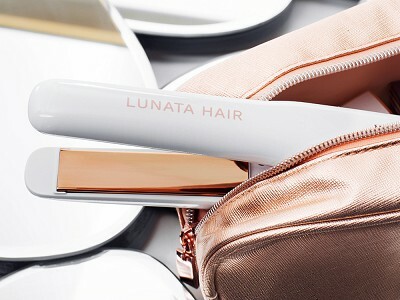 Lunata Beauty Makers and frequent travelers Monica Abramov and Anastassia Boguslavskaya got fed up with less-than-stellar alternatives for flat ironing their hair when away from home. 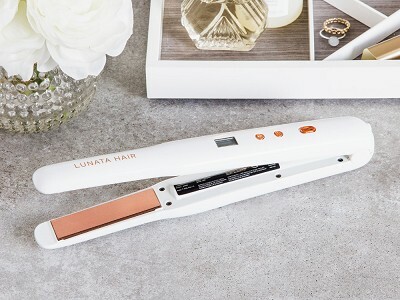 Frustrations like weird outlet locations, too-small tools, and incompatibility with international outlets lead them to create their own cord-free and rechargeable flat iron. Monica and Antastassia’s iron handles touch-up jobs on-the-fly. 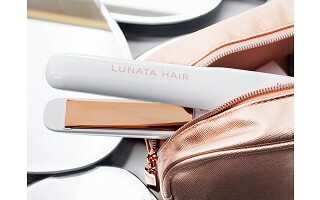 It smooths hair and helps tame frizz after the gym, before heading out, or while traveling. It’s full-sized so the experience is similar to a traditional iron. It gets as hot as a typical iron can and lasts up to 45 minutes on one charge. And dual voltage means it can work around the world. 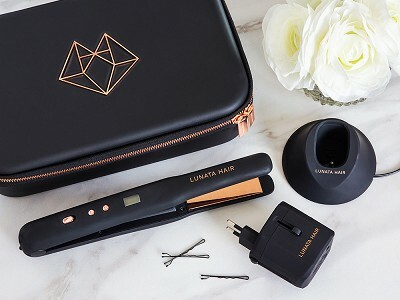 The flat iron users among us were delighted to hear about a cordless version and we appreciate how Monica and Anastassia created their own tool to satisfy their jet-setting needs. How long does it take to charge the straightener? It takes about two and a half to three hours to fully charge the wireless styler. On a full charge, the iron should last for about 45 minutes at the highest heat setting. How hot does the flat iron get? It will reach 430 degrees Fahrenheit. It's normal for the iron to lose heat as it opens and glides through the hair. It's recommended that you close the iron shut in between passes to allow it to heat back up.